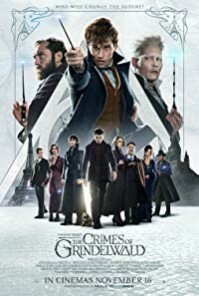 Plot: Magizoologist Newt Scamander joins forces with young Albus Dumbledore to prevent the devious Gellert Grindelwald from raising pure-blood wizards to rule over all non-magical beings. Starring: Eddie Redmayne, Katherine Waterston, Dan Fogler, Alison Sudol. distributed by Warner Bros. «Fantastic Beasts: The Crimes of Grindelwald» in the US movie theaters released on November 16, 2018; dvd and blu-ray release date was set for March 12, 2019. Rent from Netflix and Redbox from March 12, 2019. «Fantastic Beasts: The Crimes of Grindelwald» in the UK released in movie theaters on November 16, 2018. The movie released on dvd and blu-ray on March 18, 2019.